OH. MY. HEAVENLY. DAYS. 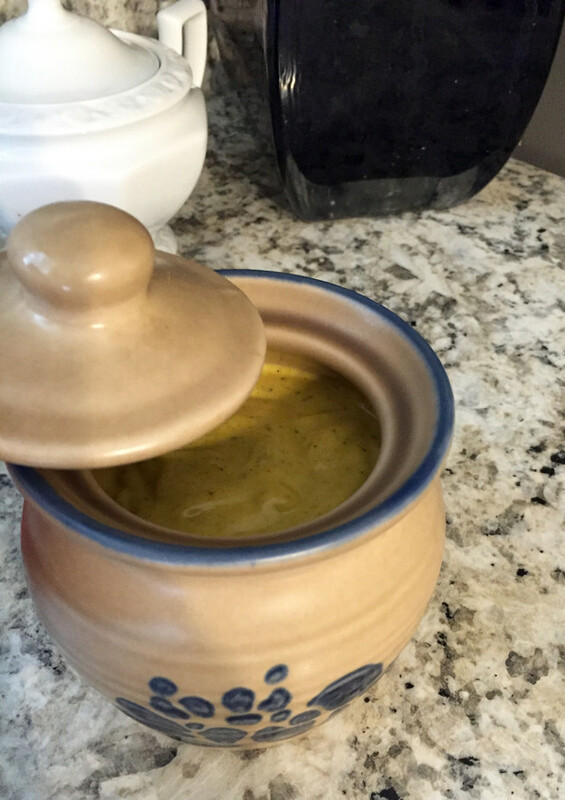 Homemade MAYO-NAYO-NAAAAiSE! IT is the absolute frrrreaaking BOMB. Thanks a million friends for NEVER TELLING ME about this! Especially because I’ve polled 5 friends & 3 out of the 5 make a similar recipe on a regular basis! How am I only just now figuring this out? And why is it such a secret for crying out loud? Immediately I felt like a moron. First of all, I’ve made homemade aioli countless times. 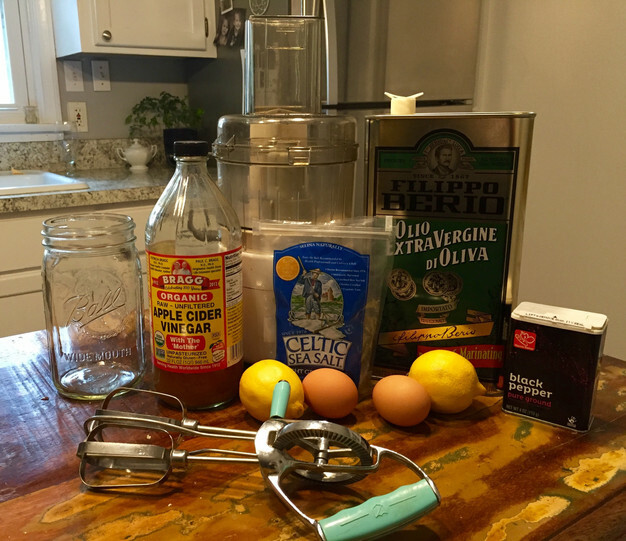 Little did I know, this is essentially the same recipe with a few tiny change-ups… DUH! Guess we learn something new err’darn day! Sooo… Because I don’t withhold wonderful, life-changing information, I’m going to share the awesomeness with all of you! You’re welcome! 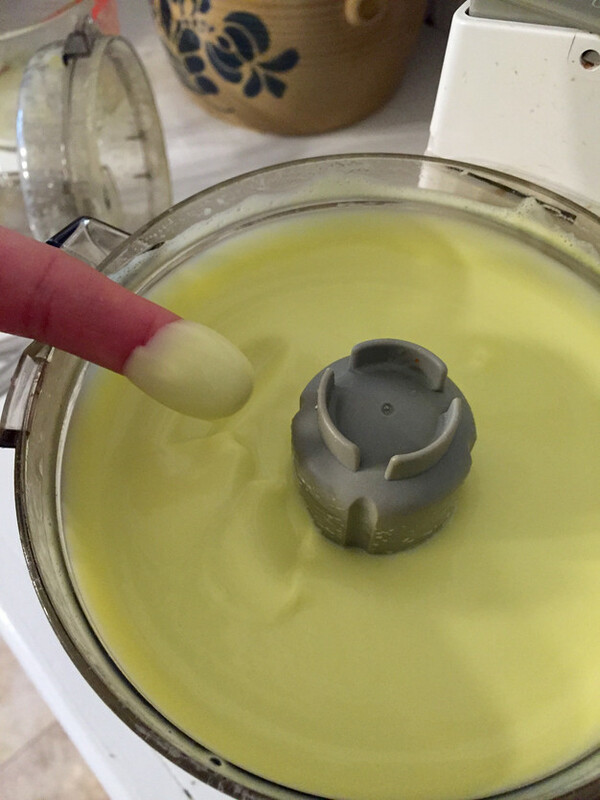 Enjoy saving money & congrats on tasting the creamiest, most delicious mayo-nayo-naaaaise on God’s green earth. 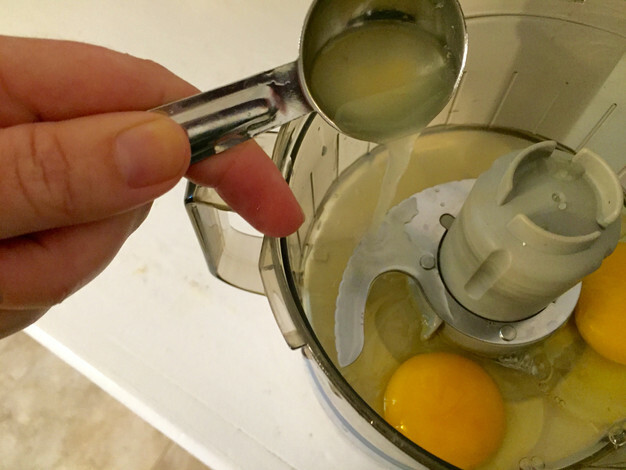 *SIDE NOTE – Do NOT even dare to email me, text me or inbox about the raw eggs in this recipe. If you do, I’ll probably scream at you… And by scream at you, I mean I’ll most likely respond with ALL CAPS. You know you eat the homemade cookie dough batter. It contains raw egg. ‘Nuff said. 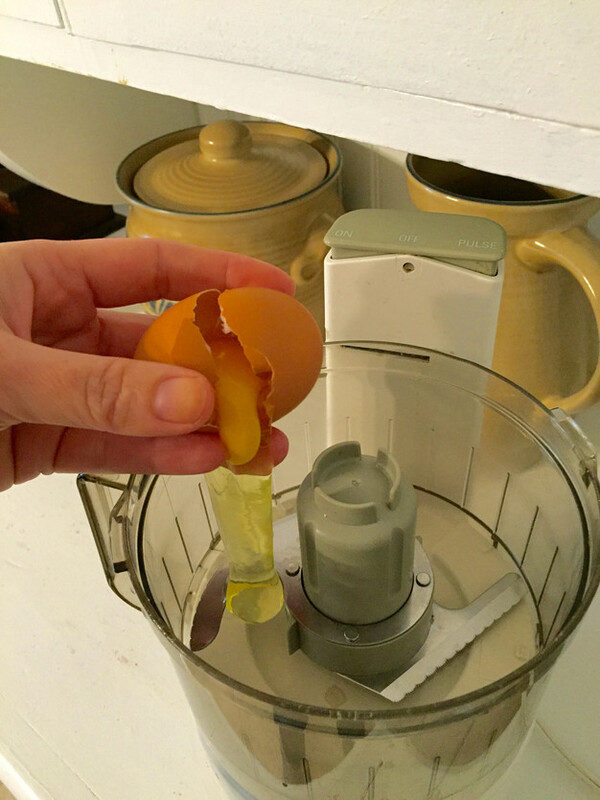 *NOTE – That is my Granny’s old handheld crank mixer… I didn’t use it today. But LOOK HOW AWESOME!!! 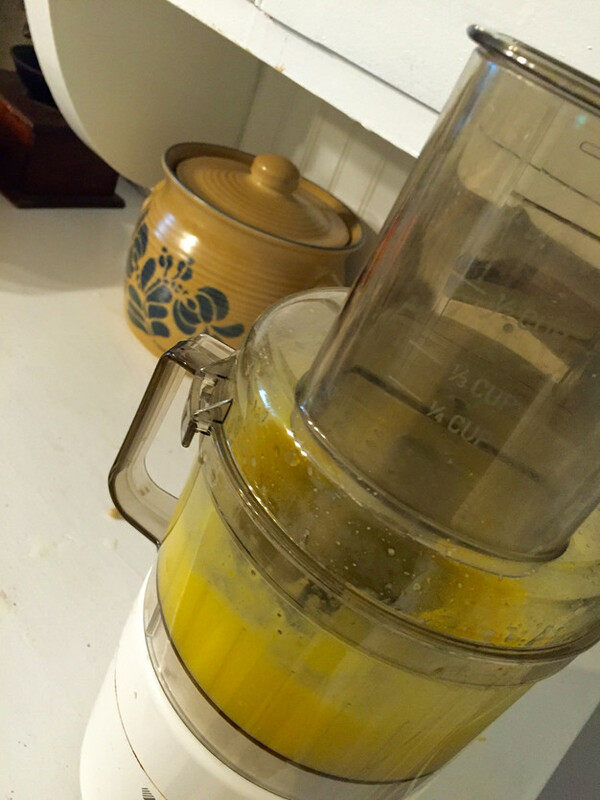 – 1 TBSP fresh squeezed lemon juice. No substitute for fresh. The end. 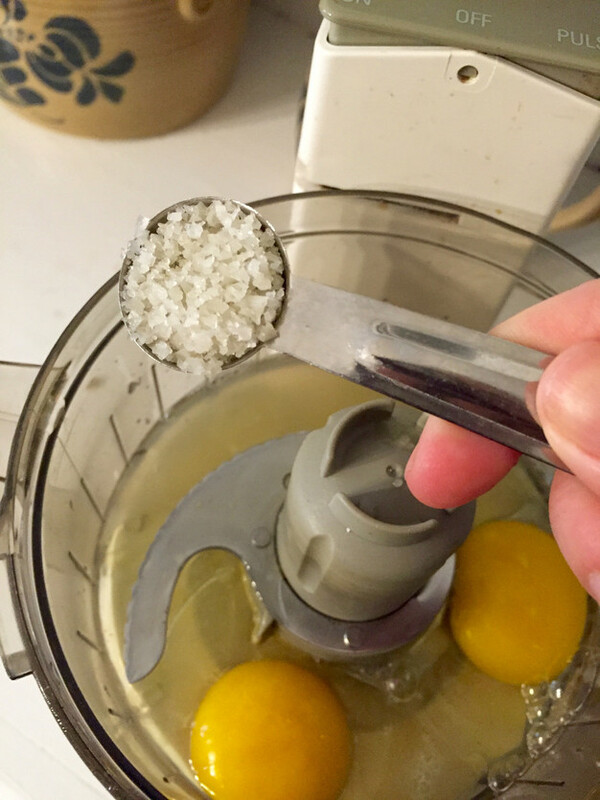 Combine your egg, lemon juice, vinegar, S & P either in a Mason jar, blender or food processor… (You will use the Mason jar if you are planning to use a handheld emulsifier. Also, the Mason jar is perfect for storage.) Blend & blend until well combined. It’s fun, right? 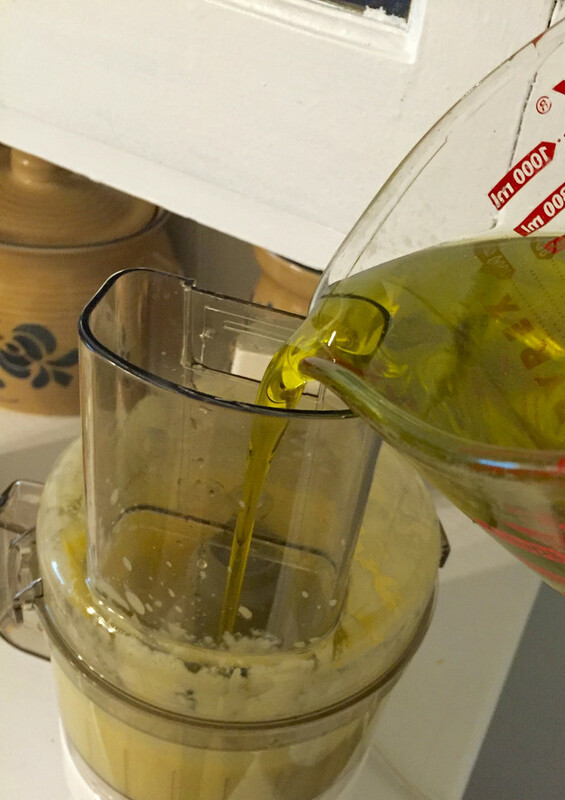 Slowly add the olive oil… Blend until it’s nice & thick & creamy & rich. Oh yeaaaah! Dip your finger in that concoction of magic smush & have a lick or two! Yes. You did that! How darn easy was that? And cheap! Seal up in a Mason jar or glass container of some sort & place in the fridge. Use within a week or so! I know, I know… We’re friends forever now, right? So put it on EVERYTHING. Also, don’t be afraid to add any & every kind of “extra” spice you wish to zest-up this basic recipe… Add curry powder or Creole seasoning or chipotle seasoning, or whatever your spice-lovin’ heart desires! 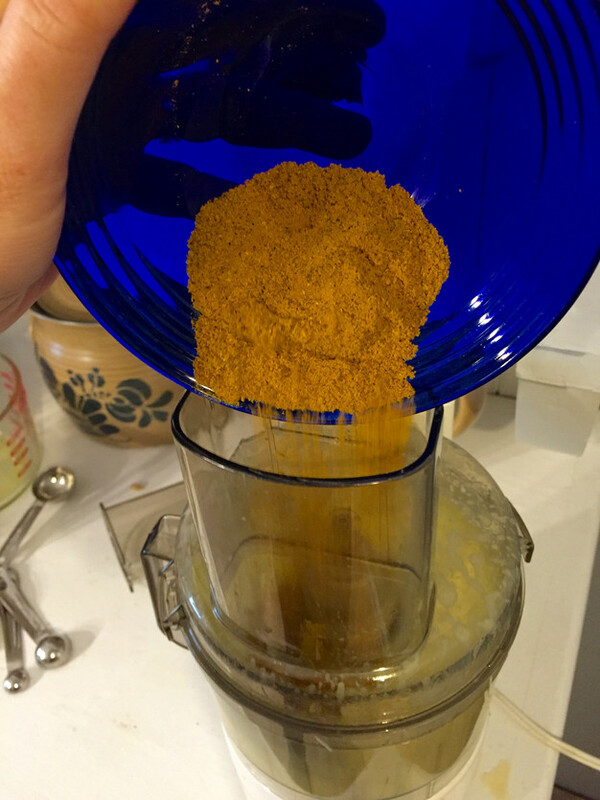 Then use it for a dip or a topping on your falafel or your sandwich… One time in college my hunk & I ate some bad falafel. We puked for 24 hours & almost died. That’s a different story. But if you like falafel… This would work as a topping. Enjoy, YO!